Ann Minnett grew up in Denver and considered the Rocky Mountains as home. However, she spent the following decades in Dallas working as a Developmental Psychologist and Program Evaluator for social service agencies. She conducted research in child and family development and was affiliated with The University of Texas-Dallas, as researcher, lecturer and Adjunct Associate Professor. In that time Ann collaborated on one self-help book and published research reports in the fields of Education, Psychology, and Program Evaluation. Meanwhile, she quietly wrote stories for pleasure and self-expression. Ann is a mother of two, grandmother to two, and now lives with her husband in the Salish Mountains of NW Montana. She's set aside her research career to incorporate what she learned into her fiction. Burden of Breath is her first novel. 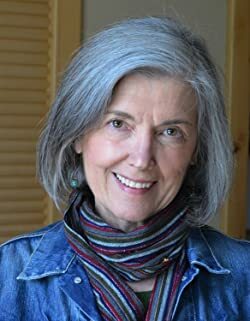 Ann's recently published her second novel, Serita's Shelf Life, and she's working on a third which will be set in NW Montana. Please enter your email address and click the Follow button to follow Ann Minnett!